What could be better to close out the week than even more Zenimax/Oculus legal mud-flinging? Nothing. Nothing could be better. This is a legal conflict for the ages. That, plus a look at Mass Effect: Andromeda’s Golden Worlds, a glimpse of Quake Champions, an FMV thriller, and a look at The Division’s (boring) second year of content. This is gaming news for March 6 through 10. BioWare also estimated the game’s PC performance this week, and it’s intimidating. A Core i7-4790 and 3GB GTX 1060 or 4GB RX 480 will still only net you 30 frames per second. On High. At 1080p. That’s awful, and with performance like that it’s a wonder the game even runs on consoles. We’ll keep you updated. Last week Ubisoft announced that Massive, the developers of The Division, will be working on an Avatar game—like, “blue-skinned aliens” Avatar. Fans of The Division were rightly worried that this meant they were being abandoned. Absolutely not, Ubisoft claimed, and this week released details on The Division ’s second year of content. Two free expansions, one of which adds load-outs to the game, as well as “an event system that drives players to activities that feature modifiers, leaderboards, and unique vanity items.” The second is too far out for Ubisoft to comment on, but this blog post does say emphatically “new story missions won’t necessarily be a part of the package.” That means probably no map expansion. Probably no boost to the level cap. So uh...well, The Division might not be abandoned but it’s hard to say there’s anything thrilling in store. Victor Vran is one of my favorite action-RPGs of the last few years. Maybe it’s the surprisingly innovative mechanics underpinning this left-click-athon, or maybe it’s just how it borrows Geralt’s voice actor away from The Witcher. In either case, I’m pretty excited to hear there’s an expansion on the way, Fractured Worlds, as well as that stupid Motorhead-centric DLC promised two years ago. Outlast II, a.k.a. “Run through this cornfield while people with literal pitchforks chase you,” a.k.a. “Twitter Simulator 2017” finally nabbed an official release date this week. You’ll be able to get all cult-y on April 25. Bit of a shame developer Red Barrels didn’t beat Resident Evil VII to the rural-horror punch, but I’m still looking forward to it. Insurgency ’s World War II-oriented spinoff Day of Infamy has been in Early Access for the last little bit, but it’s taking that all-too-rare step soon and emerging into the world of Fully Released Games. To celebrate, the team’s released a teaser that’s basically just a bumper for the new release date: March 23. 2) Overwatch’s latest hero, Orisa, was unveiled last week and is currently on the PTR for those interested. Expect her to be there for a while longer—Kaplan said she’ll probably go live “later in the month” for the general population. 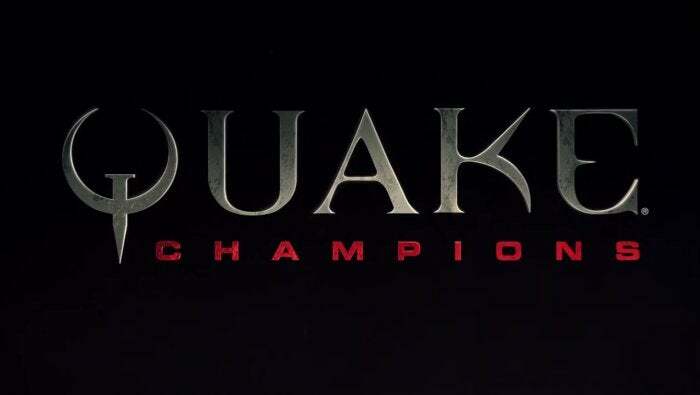 Well we’re starting to get more details about Quake Champions now, courtesy of two trailers this week. The first is just a short closed beta announcement, the second a closer look at the hero (“Champion”) Nyx. An FMV game coming to not just Steam but both consoles this year? Bizarre, but true. Late Shift is due to release in April, telling a story entirely through live-action scenes and with multiple endings to discover. The ZeniMax/Oculus kerfuffle keeps getting more kerfuffley. Last month the first stages of the trial wrapped up, with a jury awarding ZeniMax $500 million. Not content, ZeniMax then filed an injunction against Facebook and Oculus. And now? John Carmack has filed his own lawsuit against ZeniMax, alleging that ZeniMax never paid him in full for the 2009 acquisition of id Software. More details can be had at the Dallas News, and ZeniMax’s rebuttal can be found at UploadVR.